Febuary 2, 2016. Urbana, IL. 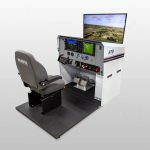 Frasca International, Inc. announces that Sky Safari General Aviation Co, Ltd., Shanghai, China, has taken delivery of a new FRASCA R44 Level 5 Flight Training Device (FTD). 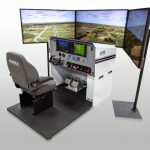 The FRASCA R44FTD is a high fidelity simulator for the Robinson R44 helicopter. 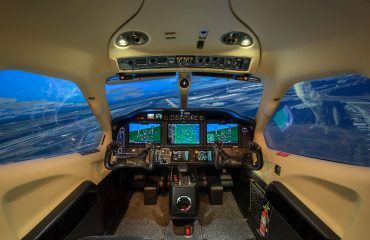 The simulator cockpit accurately replicates the R44 aircraft, including panels, controls and instrumentation. 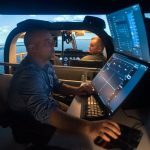 Additional features include FRASCA’s TruVision™ visual system providing highly realistic visual training environments. 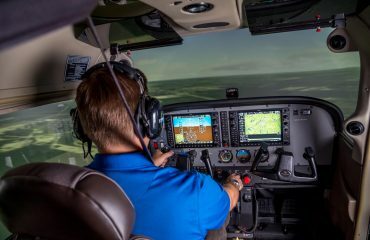 Sky SAFARI GA Company, Ltd, conducts rotary and fixed winged training for Private Pilot Licenses (PPL) and Commercial Pilots License (CPL) programs utilizing several Robinson R44 Helicopters and Cessna C172S aircraft. Frasca has been active in the Chinese aviation market for over 25 years. Chinese Customers include Government Flight Colleges & Universities, Chinese Airline Training Centers, and Privately owned Chinese Aviation Academies & Schools. Mr. Lin Yao, President of Sky SAFARI GA Co. Ltd., said “Sky SAFARI GA is committed to training Chinese students to the highest level of professionalism and to ensure public safety. 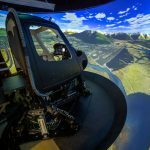 We carefully considered simulator manufacturers and chose FRASCA. Frasca has an excellent reputation within China as well as throughout the world and is highly recommended by its customers”. Mr. Niu Tao, President of Lantech Engineering, Ltd., (Frasca’s Chinese Distributor and Customer Support partner located in Beijing) said “Frasca has a strong presence in China. Lantech and Frasca have a long working relationship with the CAAC and with numerous Chinese Flight Training Centers. Frasca is committed to ensuring the highest quality products to the Chinese Flight Training industry and uncompromised safety to the air traveling Chinese people”.